Percentage Has Doubled & Continues to Climb! I would like to thank everyone for their input on my particular clam, I was able to pull up my eBenefits account and I have received a favorable rating. It has been a very hard journey and one that I will continue for the rest of my life. But, my advice to anyone is don’t give up and keep on fighting for what you’ve earned. I originally submitted my sleep apnea claim back in Jan 2008. I had no clue at that time what I was doing, did not know how to provide the right support for it, and I lost. Then last year around this time I stumbled on to HADIT.COM and started reading every post I could find. I posted a few things and got a lot of great advice. So I submitted a request to re-open my sleep apnea claim due to new evidence that included lay letters, articles, and a NEXUS letter. Facebook helped a little due to being connected with several of my old shipmates there that provided lay letters for me. All of that worked! I received a decision letter about a month ago saying it was granted as secondary to my service connected GERD. That approval along with two other new claims that were approved put me at 80%. All I can say is thank you for creating HADIT and thanks to all the folks who have provided me and many other people with great advice and hope that all is not lost. Long story short: Filed a claim for an increase in October 2014 at the advice of two other vets, and all claim submissions were denied. I cried and was depressed for at least a month. As others have said, fighting the VA should be a mental health claim in and of itself! One day, my husband got tired of me whining and reminded me that I was a fighter and not a quitter, and that I never backed down from a battle (Looking back on his comment, I think he was throwing a sly jab at me. Ha ha ha!). Fast forward to 2017…After lurking in the shadows and reading tons of Had It posts, talking with other vets and doing my homework on how to PROPERLY submit claims and evidence, even down to how to handle C&P examinations, my 40% was increased to 70%. Then, I got a nice big surprise in my bank account in September 2017. I enjoyed the victory, but I didn’t stop there because I knew that the VA was still shorting me. I filed some appeals shortly afterwards and continued to do my homework. Last week, I was surprised and happy to see that the VA had increased me to 80%, deferred a few claims that THE VA itself submitted on my behalf, and is Preparing for Decision on two claims that had been on appeal. By the time everything is soaked, washed, rinsed and hung out dry I’m fairly certain that I will be at 100% per scheduled rating. Not bad for a vet who started from 40% in 2014! I can’t thank you enough Had It! The resources and info you provide are priceless. I love reading success stories, and I would advise anyone who is battle-weary to take a break from the other forums to read “Success Stories” to put some wind back in your sails. These stories offer hope! Kind Regards & Favorable Claims! For years the entire VA claims process was a mystery to me. I was like Dorothy (well, not LITERALLY like her, I’m a man, but…) in the Wizard of Oz. They’d flash the lightning and thunder and deny and I would put my head down and go away and just lick my wounds. Then, one day while searching on Google, I found this forum and started reading the experiences and advice of other vets who’d been treated the same way as me, but had apparently decided they’d HAD IT with being gracious losers every time they dealt with the VA. I learned a lot of information about claims, especially about what is important in filing a successful claim. I learned how to appeal, and what kind of evidence might help me win. I learned to stand up for me, and how not to surrender and walk away mumbling about losing out again. I had a very complex claim with numerous difficult issues, and when it was shot down in flames, I came back here to get more information, then went back on the attack to keep pressing my case. It took 9 years from initially filing in 2009 to reaching a BVA judge in July 2018, but I won, with all of the most important issues being granted. It is an awesome feeling. Thanks to hadit.com and so many great members here, I won. I WON! I can’t say enough about how great it feels, thanks to all the great folks who have educated me on the process. THANK YOU!!! I have not posted much here since originally signing up about three years ago. I was fired from my job specifically for being a Veteran with a disability and turned to you guys for help and advice. What I was given makes up part of the support foundation I needed to get back on my feet. Over the last couple of years, I returned to school and am now two credit hours away from a bachelors degree in social work. In the meantime, I have opened a Veteran peer support service and facility which will offer a wide range of support at NO COST to our sisters and brothers in arms. I am not asking for donations, but want to share our dream with you and let you see what you had a part in making happen. Dreams do come true and we will always have your back. I truly believe we can make life better for each other and build strong community bonds showing everyone we still have more to give. I salute each of you and thank you for having my back. and I have successfully, helped at least 40 other Veterans get service connected and most of them is a 100% service connected and I credit 95% to hadit.com and I think hadit.com is the best help website on line, and I want to personal thank, all of the hadit.com moderators, and Carla for all there expertise in helping disable veterans, in negotiate a very complicated Veterans Affairs claim process. Thanks again and we need hadit.com. Keep the good work up. God Bless hadit.com and America. I put my appeal together with the advice from Hadit the wisdom and knowledge the folks have on here is priceless my only advice is take your time here on the forum read listen and learn the facts.Put you claim or appeal together then comes the hard part the wait no need to gripe or complain I learned the hard way Get a hobby,job or travel or search the positive parts of this forum I learn something every time I get on here. I won I out lasted the V A system Thanks to all here Lenkl T2 rated. Was only on hadit for a short time, posted a question about filing a CUE, along came the queen of cues-Berta, and with her expertise in writing skills, I won my cue in just weeks! I’m a very old voice from the past, back in the day HadIt.com was a “bulletin Board” run by a gracious lady by the name of “T-Bird”. I had been diagnosed immediately after discharge with General Anxiety Disorder and low-balled at 10%. I found that to be a ridiculous grant and immediately started my long, arduous battle with the VA for an increase. Slowly beautiful people like Berta, Carla, Test Vet and on migrated to the site. If we didn’t have the answer, someone would find it. These wonderful folks dedicated so much of their time and energy just for us…broken down old Vets. I eventually won my due but so did more and more who came to the site. The number of Vets helped by this site must now number in the tens of thousands, if not more. In my mind, this is without a doubt the most wonderful site on the web, helping our greatest citizens, our Vets. If you can donate, do so. If you can’t, help. Let’s see how long we can keep this magical place alive. I have been reading hadit.com posts for a year now. I just won a DRO de novo review for Bipolar Disorder and was bumped up from 80% rating to 100% P&T. I learned how to work my claim and DRO appeal from Hadit.com Very thankful! I had applied for VA benefits in the past and had been rated, however i was “lucky” because my evidence was good for the claims, but not because of any work i did, i was just lucky i had a good C&P examiner who went above and beyond (we know thats not the usual). When i received a letter stating that the VA was going to reduce me i was lost, i had never heard of that. I was a FNG even 3 years after i got my rating. I frantically searched the internet, landed on another forum that we shall not name, where i was basically told “if they are trying to reduce you then you probably deserve it and dont deserve the higher rating any longer” When i arrived at Hadit and asked my newbie questions i was not attacked for being greedy to want to keep a rating that i met the criteria for. I was not told the VA is all knowing and loves us all as her children. I was told how to fight it, how to bring the best evidence to the table. If i had not come here I would not have known that SWORN DECLARATIONS are better than the statement forms the VA uses. And most importantly I WOULD HAVE NEVER KNOWN WHAT A IME IS!!! I have yet to run into a VSO or other vet forums and hear “go get a IME for this now”. That advice and a few hundred bucks meant the difference…100%….between me losing and winning. I won. Thank you TBIRD and HADIT. You have taught me more in 8 months than i had learned in the previous 10 years since I first stepped into a VA hospital. The Beatles had a song called “One is the Loneliest Number” and that is never more true than when you are alone fighting the VA for benefits. Fortunately, you not only don’t have to do it alone but you get knowledge, experience and friendship at Hadit.com! What does it cost you might ask? Only your time. (Of course, donations to support the site are accepted) There is so much information contained within this site that you could literally fill volumes. I have not found any other site that provides so much in one location. Hadit.com was very instrumental in helping me research and prepare my husband’s claims and appeal. In September 2013 I finally filed (after several years of “encouragement” by my Wife & family) for compensation with assistance from a DAV Rep. In March 2014, all 7 disability claims were denied. I requested & received my service and medical records in October 2014, did several months of research (Thank You Very Much HadIt.com!! ), and filed my Fully Developed Claims on 11 March 2015. For my first FDC for PTSD, I was scheduled for a C&P Exam & attended it on 07 April. On 16 April, I received my DVA letter awarding me 30%! So far, all 7 of my FDC’s are progressing through “the system”. Again, it took a lot of research, time, & documentation to put the FDC’s together; but the end results are very positive. Though I have been absent for a few years, I will tell you that Hadit.com has a wealth of information, and knowledge that is right at the Veterans Fingertips. 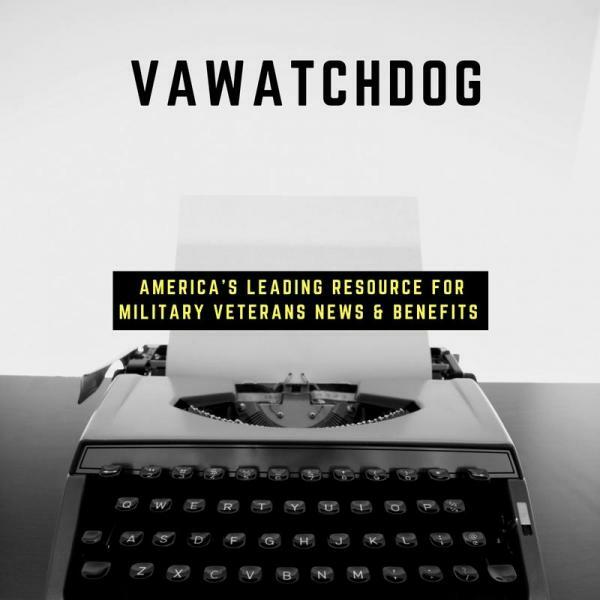 The Archives are so important to our Veterans as they search to find much needed documents , personal stories that can help win the Veterans VA Claims. Advice on how to file , how to word your claim or appeal, laws and regulations, and how to appeal. If there is a Veteran problem or a question, please know that it is probably stored on Hadit.com. I am still amazed at how the site brings so many Veterans together and helps so many. If you are a Veteran, Spouse, Widow or dependent then you are finally home. Please help to support Tbird and her vision to keep this site safe and running for ALL of our servicemen and women and those who served our Great Nation. The VA benefits are yours , you EARNED them. They are not a handout or charity. It is OUR Veterans Affairs. It belongs to you , not the government or the VA. Contrary to what the VA tries to do to the Veteran and the roadblocks and minefields they use to try to discourage or stall the Veteran, it is OUR VA. Try to learn as much as you can as you have a powerful tool here at Hadit.com. Thank you Theresa and all those here at Hadit.com who have supported and helped to give the Veteran such a place of refuge and help. Blessings, ……NEVER GIVE UP…….C.C. Thank God I fell upon this site.It has helped me so much understanding my claim,and hadit.com is teaching me so much,where I feel I can help others. Navy04, thank you so much you been of so much help and support. I am one of the first members backin 1997. I won 100% in 1999 thanks to this site. I recently won retro to 1986 after a 29 year fight. No money yet only waiting for a extra schedular rating from 86-98. No issues are in dispute as I beat the VA and they admitted it. I still might not win the money for a while but without this site I would of won nothing. Trying to make this as short as I can! Got out in ’72, filed a claim. During the C&P I was treated like dog crap. Never heard anything about it and never wanted to go back to a VA facility again. Years go by and with farther communications I tried several times to go back. Everytime being told they had “ABSOLUTELY” no record of me. Fast forward I stumble on to HADIT.COM. One last try, I read and read some more. I contacted a VSO. 3 weeks go by and I am summoned to the American Legion’s VSO office. There I sat crying like a whipped pup as she read everything from my MTR. I am now 70%. Hadit.com was a life changer for me. And I can’t say enough about the importance of a VSO. I am very grateful to hadit.com that veterans and their survivors here have often followed my advice on multiple issues that either I or my dead husband had personal experience with , and got positive results, via the VA. Even if that took many years, in some of our personal claims. He certainly did not die in vain. The advice from others here has been superb to everyone, as well, on many diverse issues we encounter.. A testimony to hadit.com from me, is also a testimony to my husband, because if those years of battles with VA had not occurred, I would not have gained the knowledge to even be here for the past 17 years. HADIT.com has been a spectacular entity. I think it should be part of training programs for vet reps, VSOs, and also for the VBA, at the regional office levels. And I still learn something new here every day. Knowledge, as Tbird says , TRULY IS POWER! Had it.com has information that the VA doesn’t want you to have. The information on hadit.com led me to a 90% rating and a clear path to 100%. With hadit.com you do not need a VSO to file your claim. Trust hadit.com and get the rating you truly deserve and not the rating the VA gives you to balance their budget. without this forum I would not have gained the knowledge in order to properly document in request an increase in my service connected disability for my degenerative disc disease.I want to thank everybody that’s involved with this forum. Hadit.com has been a God Send for me these last 2 years. I was medically retired in Feb 2013 from the Navy at 80% SC. I did not know anything about the VA claims process. Thanks to good folks on here like Carlie and Berta, I was increased to 100% VA, granted SSDI and my Wife is now paid to be my VA Care Giver. There are many bad days, that Had it.com helped me get thru with my Severe PTSD. Thank you so much and God Bless HADIT.com!!! Without the information available on Hadit.com, I’d likely still be hung up on the infamous Squirrel Cage of VA claims processing. Even so, there are still outstanding problems created by the VA’s claims system and it’s improper handling of claims and flawed decision making process. With all of that, the information and advice, including the history of key claims and decisions was and is invaluable to veterans. There is no other comparable source for such information. Without that, although totally disabled by SSA for only what are now service connected conditions, I’d still be fighting with the VA to obtain compensation due and authorized by Law. I couldn’t have done it with out the help of hadit.com, I’m one for not asking for help, so your site was my saving grace. I was medically retired from the Air Force in 2007 and they awarded me 60%, I then filed my claim with the VA in New Mexico thinking I would get at least 60% VA disability, they AF awarded me 60% for loss of sphincter muscle control and 10% for plantar foot problem in 2007. The VA rated my loss of sphincter muscle control at 10% and stated my foot problems was not service conected in May 2008, imagine that! At that point, I made it my #1 priority to learn more and while I was doing some internet surfing to figure out what went wrong with my claim, thats when I found Hadit.com in 2008. Long story short, info, med records, doctor statements advice from the hadit.com website… I just received my little brown envelope in the mail last week and a nice deposite into my bank account… 100% P&T with chapter 35 benefits. Now I’m doing a little more reading in hadit.com so I can figure out which way to go with social security. Thank God and your hadit.com website! Hadit.com has helped me with expert experience and advice on how to navigate in the VA world since I started my journey in 2009. Contributor advice and content is appreciated and free. And you can’t beat that. Site administrators are helpful and run a tight ship. Thanks.